Help Us Expand to Springfield: Contact your State Reps TODAY! Over the coming weeks, the Massachusetts House of Representatives will be debating the FY2019 budget for the Commonwealth. 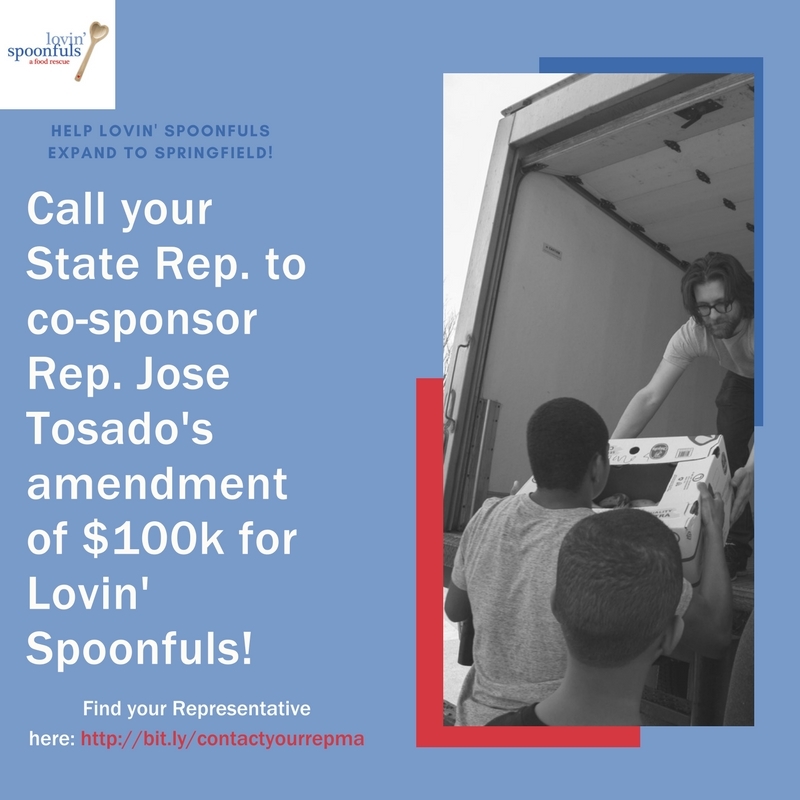 Representative Jose Tosado of Springfield is filing an amendment on behalf of Lovin’ Spoonfuls for $100,000 in state funding to support our expansion into Springfield and surrounding communities. Springfield has long been a priority for us, as it is home to the highest rate of childhood food insecurity in Massachusetts. State support will ensure our successful launch, leading to service to the region for years to come, much like our current operations in the Greater Boston and MetroWest communities. Please call or email your State Representative before Friday to ask them to support Representative Tosado’s amendment by co-sponsoring. You can find your State Representative by visiting this website, and when you click on their name, you can see their email address and phone number. Subject: Please Co-Sponsor Rep. Tosado’s amendment to bring Lovin’ Spoonfuls to Springfield! 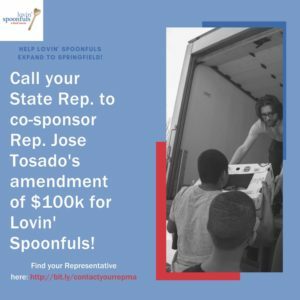 I respectfully request that you co-sponsor Rep. Jose Tosado’s amendment to line item # 2511-0105 for $100,000 in support of Lovin’ Spoonfuls’ expansion to Springfield. Thank you for taking the time to support our work with this effort; stay tuned for updates in the coming weeks on our progress and more ways to assist!